A captivating new story from Victoria Cornwall, perfect for fans of books by Tracy Rees, Fiona Valpy and Dilly Court. 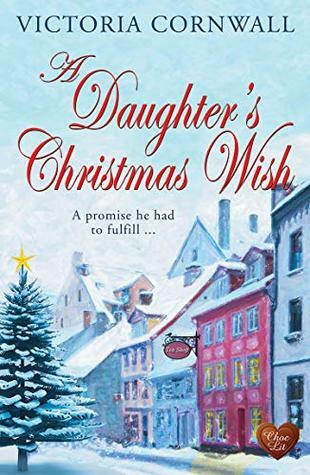 A Daughter’s Christmas Wish by Victoria Cornwall is a 2018 Choc Lit publication. Nicholas promised his comrade, he would make the holidays special for his fiancé, Rose. To that end, he looks her up at the tea shop she now manages after also losing her brother in the war. Rose and Nicholas are both hurting in various ways, due to the losses brought about from the war, but also because of tense family situations. The pair forges a bond, but both fight the romantic chemistry stirring underneath the surface of their friendship. With their spirits crushed, is it possible they can accept the past, allow their hearts to heal, forgive their families and move on to a promising future? This story starts off with a bleak, depressing tone. The ravishes of war and the toll it took on Nicholas and Rose, and their families is palpable. For Rose, the relationship with her mother is especially fraught, as her mother mourns the loss of her son and seems to either ignore Rose or make hurtful remarks. Nicholas is the sole source of light in Rose’s life. But, each of them feels guilty due to the circumstances that brought them together. This is a slow, sensitive, and sentimental romance, very poignant and emotional, but also one that promises hope and happiness rising up from despair. The Christmas spirit is hard at work bringing with it long overdue comfort and peace for Rose and Nicholas, and no couple deserves a happily ever after more than they do. Victoria Cornwall has written a beautiful and very special holiday love story! Victoria Cornwall grew up on a farm in Cornwall and can trace her Cornish roots as far back as the 18th century. It is this background and heritage which is the inspiration for her Cornish based novels. Following a fulfilling twenty-five year career as a nurse, a change in profession finally allowed her the time to write. She initially self-published two novels, Old Sins Long Shadows and The Gossamer Trail under the name B.D.Hawkey. In 2016, award winning publisher, Choc Lit, acquired both books as part of a four book deal. Old Sins Long Shadows is now published under the new title, The Captain's Daughter, and The Gossamer Trail is now titled, The Daughter of River Valley. Victoria is married and has two grown up children. 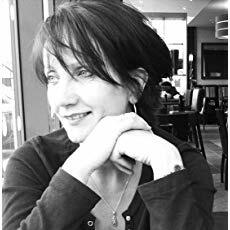 She likes to read and write historical fiction with a strong background story, but at its heart is the unmistakable emotion, even pain, of loving someone. She is a member of the Romantic Novelists' Association. MERRY CHRISTMAS From The Book Review!